It’s been a while since I posted a roundup of young adult books I didn’t get around to reviewing, so I figured it was time. First up is FINDING AUDREY by Sophie Kinsella, best known for her CONFESSIONS OF A SHOPAHOLIC series. Basically, I love anything Ms. Kinsella writes. Her books crack me up every time, and the Shopaholic books have the unique distinction of making me want to strangle the character for 90 percent of the book and then somehow cheering her on at the end. FINDING AUDREY is her first YA book and very different. While there is still a lot of humor, it tackles the serious topic of Audrey’s Social Anxiety Disorder. I was impressed with how Ms. Kinsella approached Audrey’s recovery and also the innovative use of multiple storytelling formats with screenplay scenes (a technique I use in my own manuscript!). I highly recommend this one. I picked up THE APOTHECARY by Maile Meloy at last year’s Scholastic Warehouse Sale and finally got around to reading it a few weeks ago. I wish I’d read it sooner! It’s a wonderful historical with unexpected magic and a sweet first romance. I actually wasn’t sure whether to categorize this one as middle grade or young adult as the character is fourteen, but she is in high school and the story involves a romance, so I ultimately decided it’s a younger YA. Also, there are two more novels in the series where she’s older. In any case, the story is beautifully written. 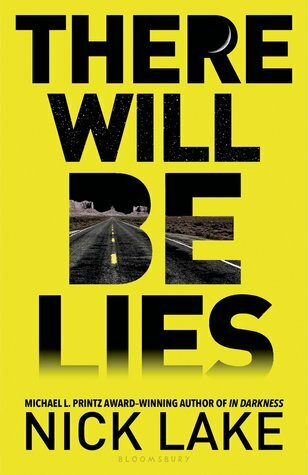 During my search for comp titles, I came across THERE WILL BE LIES by Nick Lake. While I quickly realized it wouldn’t work for me due to the dual fantastical/contemporary storylines, I was immediately drawn into the story and couldn’t put it down. I loved the twists in this novel. I saw a lot of them coming, but the main character didn’t, and that was the point. It was a rather long read–I think because the fantasy storyline kept drawing away from the contemporary–but it all comes together in the end and is worth it. So, those are a few recent reads I suggest you check out. I may have a full review for you again next week. Have you read any of these? What did you think?